﻿ Brakes for High-Performance Cars｜Product｜Products and Technologies | Akebono Brake Industry Co., Ltd.
Akebono develops and manufactures opposed piston type 10-pot brake calipers and 6-pot brake calipers for high-performance cars. These brakes have been used for high-performance cars manufactured by European manufacturers. The opposed piston type disc brake, mostly used for high-performance cars, is a type of disc brake caliper which has pistons on both sides of the brake rotor. Superior characteristics of the opposed piston type disc brake are stable braking force and superb controllability. The opposed piston type 6-pot brake caliper has three pistons on each side for a total of six, and are adopted on high-performance SUVs and sports cars which require powerful braking performance. The 10-pot brake caliper has five pistons on each side for a total of ten and is suited for large-sized high performance cars. Large-sized high performance cars are subject to heavy braking-energy loads so large size brake pads are used. To realize stable braking, opposed piston type with 10-pot brake caliper has been adopted. 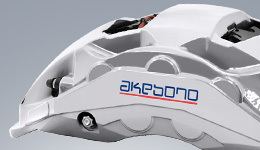 Akebono started various motorsports activities in 2002, and the brake technologies which spun off from racing development have been called upon to develop this brake caliper. Superb braking performance, and lightweight yet rigid construction have been carried over from the brake development for the pinnacle of motorsports, Formula 1, since 2007. In addition to these technologies, know-how for reducing noise and drag has been carried over from the development of brakes for production cars. Thanks to fusion of these technologies, this brake system for high performance cars demonstrate superior braking performance at high speeds and when subject to high loads or high temperatures, while realizing comfort and low noise suitable for premium cars. 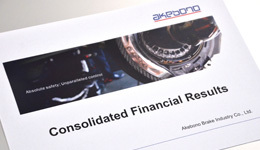 Akebono continues to be thoroughly committed to developing high quality products, and aims to expand its high-performance brake business. Development of the brake which was awarded the the "Japan Society of Mechanical Engineers Medal for New Technology." The technologies for developing and mass production of high-performance brakes for road cars, were awarded the Japan Society of Mechanical Engineers Medal for New Technology in 2015. This award was given to the brake system fitted to McLaren’s super high-performance road car “P1?” which has a top speed of over 350km/h. 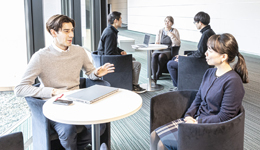 Established in 1958 with the aims of encouraging research activities and development of mechanical engineering in Japan, the JSME Medal has been presented annually to outstanding papers, technologies and products. In 1982, Akebono Brake Industry received the JSME Medal for its "development of a new type of disc brake for passenger cars," making this the second time for the society to recognize the company's achievements. Brakes of automobiles have diverse performance requirements. The safety aspect requires it to demonstrate powerful and stable braking performance. To enhance comfort for the drivers and passengers, brake squeal noise and vibration must be minimized. Last but not least, for improving fuel efficiency, it must be lightweight. 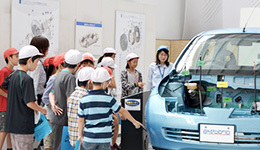 Recently, the performance levels of automobiles are increasing and these requirements are becoming stricter by the year. The award-winning brake has been developed for high performance road cars that have top speeds of over 350km/h, and thus require to be lightweight and demonstrate stable braking performance, even at high speeds or under extreme heat. This high-performance brake system boasts highly heat-resistant brake pad that incorporates our unique thermally stable carbon lubricant and all-new carbon ceramic disc rotors. Thanks to these advanced technologies, the brake system has been down-sized to the limit and realized major weight savings, as well as superb comfort while driving on urban roads. 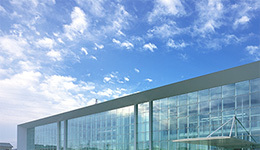 The realization of mass-production of this high-performance brake was also recognized by this award.